The top commercial use steam cleaners and industrial use steam cleaners that are being used across various applications is the main basis of this article. 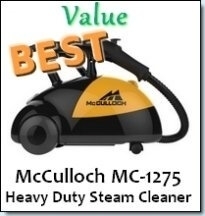 We shall cover the most widely used all purpose steam cleaners used in industrial or commercial applications. How are Steam Cleaners Used in Business Applications? 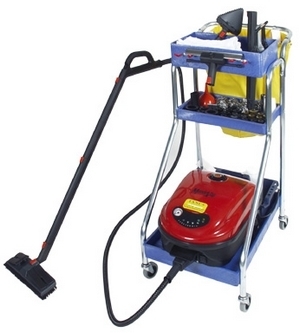 There are many types of industries where steam cleaners are used. The Hospitality industry is a main one which includes: restaurants, hotels, supermarkets, fast food stores, hospitals and more. These businesses depend on creating a sterile environment for food preparation, caring for the sick, providing clean accommodations for customers. 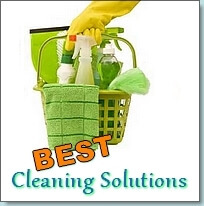 A clean, germ free environment is necessary to ensure the comfort and health of one’s customers. They are also necessary in accordance with sanitation rules outlined by specific boards that govern these institutions. A company can either hire a cleaning firm that have their own steam cleaning machines or they may buy their own steam cleaners for their janitorial staff to use. There are several advantages and disadvantages regarding each choice. • Reduced Cost. Hiring a service can become very expensive over the long term. 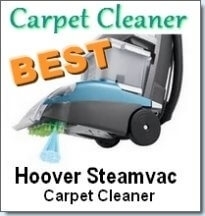 Do you need a steamer for any of the above? 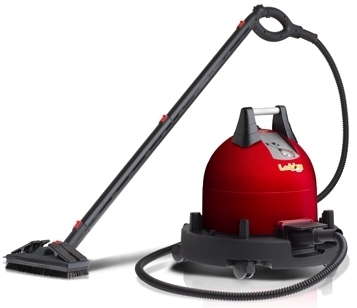 Then the Ladybug XL2300 TANCS Commercial Grade Vapor Steam Cleaner should definitely be considered. The LadyBug XL2300 is great for the above environments because it is lab certified to clean thousands of times better than other chemical based cleaners. It has an EPA (Environmental Protection Agency ) registered number, the only non chemical based steamer to have one. This cleaning machine is guaranteed to not only clean, but totally sanitize by breaking down bacteria, viruses, biofilm, allergens, dust mites, mold and more. Not only does it provide such massive cleaning power, but also has the ability to be used for 3-4 hours per day. It has a continuous fill feature that allows you to add water at any time while it is in use because of its double tank. It is easy to use with fingertip controls and a pressure gauge to regulate the steam. Another commercial use steam cleaner that can be considered is the MondoVap 2400. The MondoVap 2400 is a highly recommended steam cleaner that has been used by the University of Medicine and Dentistry of New Jersey’s Newark hospital. It was found to be the most efficient and green friendly way of cleaning and disinfecting the hospital. It is able to kill fungus, E-coli, bacteria, mildew and more. 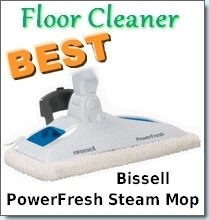 It was reported that the dry vapor produced by the machine easily cleans even the most challenging areas: kitchen equipment, high traffic areas which are spill prone, greasy kitchen surfaces, restroom floors where it easily removes dirt and urine that is trapped within the floor’s surface and grout. There are many more brands and models of commercial use steam cleaners, but these are two that have received high ratings.